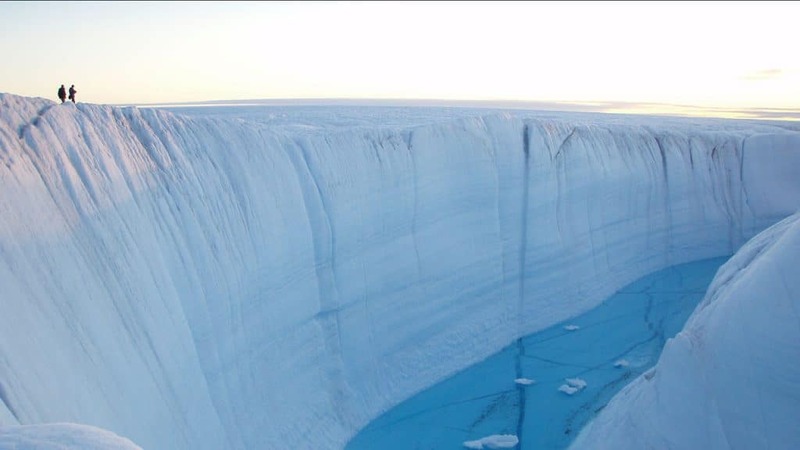 Scientists have known for years that warming global climate is melting the Greenland Ice Sheet, the second largest ice sheet in the world. A new study from the Woods Hole Oceanographic Institution (WHOI), however, shows that the rate of melting might be temporarily increased or decreased by two existing climate patterns: the North Atlantic Oscillation (NAO), and the Atlantic Multidecadal Oscillation (AMO). Both patterns can have a major impact on regional climate. The NAO, which is measured as the atmospheric pressure difference between the Azores and Iceland, can affect the position and strength of the westerly storm track. 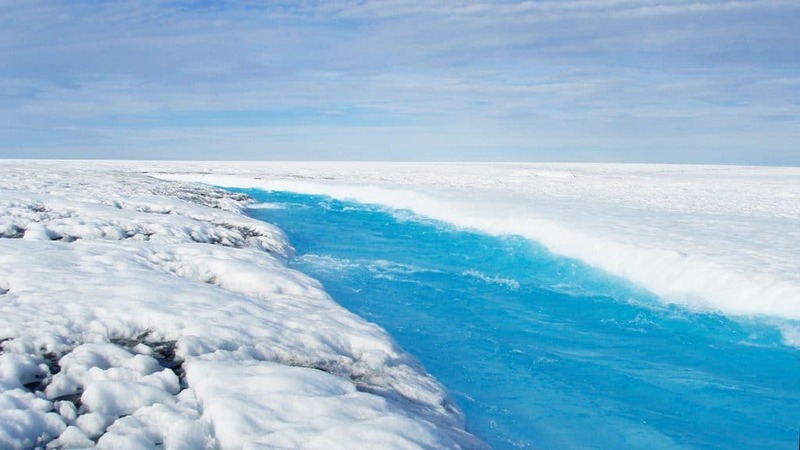 The study, published in Geophysical Research Letters, found that when the NAO stays in its negative phase (meaning that air pressure is high over Greenland) it can trigger extreme ice melt in Greenland during the summer season. Likewise, the AMO, which alters sea surface temperatures in the North Atlantic, can cause major melting events when it is in its warm phase, raising the temperature of the region as a whole. If global climate change continues at its current rate, the Greenland ice sheet may eventually melt entirely—but whether it meets this fate sooner rather than later could be determined by these two oscillations, says Caroline Ummenhofer, a climate scientist at WHOI and co-author on the study. Depending on how the AMO and NAO interact, excess melting could happen two decades earlier than expected, or two decades later this century. Scientists like Ummenhofer see a pressing need to understand out how natural variability can play a role in speeding up or slowing down the melting process. “The consequences go beyond just the Greenland Ice Sheet—predicting climate on the scale of the next few decades will also be useful for resource management, city planners and other people who will need to adapt to those changes,” she added. Actually forecasting environmental conditions on a decadal scale isn’t easy. The NAO can switch between positive and negative phases over the course of a few weeks, but the AMO can take more than 50 years to go through a full cycle. Since scientists first started tracking climate in the late 19th century, only a handful of AMO cycles have been recorded, making it extremely difficult to identify reliable patterns. To complicate things even more, the WHOI scientists needed to tease out how much of the melting effect is caused by human-related climate change, and how much can be attributed to the AMO and NAO. 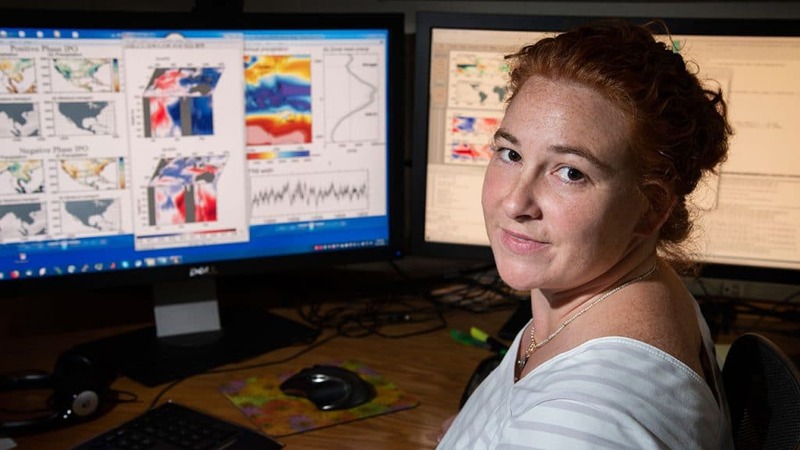 To do so, the team relied on data from the Community Earth System Model’s Large Ensemble, a massive set of climate model simulations at the National Center for Atmospheric Research. From that starting point, the researchers looked at 40 different iterations of the model covering 180 years over the 20th and 21st century, with each one using slightly different starting conditions. Although the simulations all included identical human factors, such as the rise of greenhouse gases over two centuries, they used different conditions at the start—a particularly cold winter, for example, or a powerful Atlantic storm season—that led to distinct variability in the results.The team could then compare those results to each other and statistically remove the effects caused by climate change, letting them isolate the effects of the AMO and NAO. Hahn was formerly a Summer Student Fellow (SSF) and guest student at WHOI while she was an undergraduate at Yale University. She is currently working on her Ph.D. at the University of Washington. Also collaborating on the study was Young-Oh Kwon, a physical oceanographer at WHOI. This research was supported by WHOI’s SSF and guest student programs, and by the U.S. National Science Foundation.